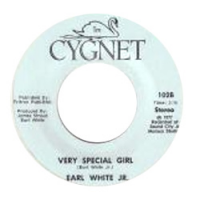 "Earl White Jr" aka "Earl whiting" released this rare modern soul dancer "very special girl" on the tiny "Cygnet" label. 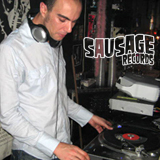 The first recording on this label was recorded by "Rochelle Rabouin" : this is my year / keep this in mind. This single "very special girl" must have been the second and maybe the last recording of this label. This track "very special girl" has been compiled by Goldmine Soul Supply.